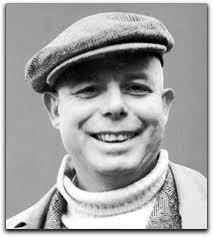 Jean Renoir is one of those towering figures of world cinema. The only film I had seen of his is Boudu Saved from Drowning (1932), which I love, but which I do not think is entirely representative of his broader body of work. I was luck enough to catch A Day in the Country (1936) on the big screen at Arc Cinema recently, as part of a program of the short films which were featured in the most recent Sight & Sound poll. The film is a gentle look at the societal mores and conventions of the time, a comedy of manners of sorts. A group of Parisians funnily enough spend a day in the country, focused around drinking, eating, sleeping, rowboats and a little fishing. The most engaging aspect of the film is when it contrasts the deeply engrained attitudes and desires of an urban mindset with those of a rural one. Two young local men who are lazing about at the country inn decide that they will attempt to seduce Henriette and her mother, whilst the other men are off tending to their fishing rods. Sylvia Bataille, who plays Henriette, gives the best performance in the film, as a young naive woman with an utterly bland fiancé. Apparently the film is actually unfinished, though you cannot really tell. In terms of running time, it is a long short film, so perhaps it was originally envisaged as a feature film. What is here though is beautifully shot, even the simplest of images, such as the women enjoying their time on the swings, are a joy to look at. Whilst it is a very different film to Boudu Saved from Drowning you can see Renoir’s ability as a humour stylist as the script has a fair bit of humour in it. The film got a lot of laughs in the crowd I saw it with and the comedy is for the most part very successful, even today. Indeed the dialogue of the script is one of the film’s real achievements, full of double entendres, there are numerous layers to absolutely every line. A Day in the Country is a sumptuously shot, if gentle, look at a specific time and place. It perfectly illustrates many of the societal constraints that dominated that time and place, which I am glad are not a part of my life. It is engaging, even if the connection between characters is not established enough to support the emotional dénouement that is aimed for. Wow nice piece, I’ve never seen it but it sounds wonderful to watch. Thanks man, glad you enjoyed reading. Am pretty lucky that I live so close to a place that plays really cool stuff like this on the bigscreen. I should probably check it out, along with Boudu and all the other Renoir classics (especially Grand Illusion, The Rules of the Game and The River). 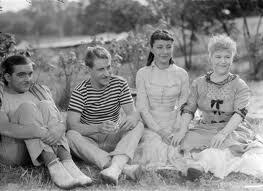 The only Renoir film I’ve seen is La Bete Humaine, which is excellent and allowed me to begin my proud life as a fan of Jean Gabin. I definitely recommend that one! Cheers for the Renoir tip. Definitely check out Boudu… I suspect it is a little lighter than his other features. It is really hilarious and you can see the influence it has had on a lot that came afterwards. Looks good – must put it on the list!